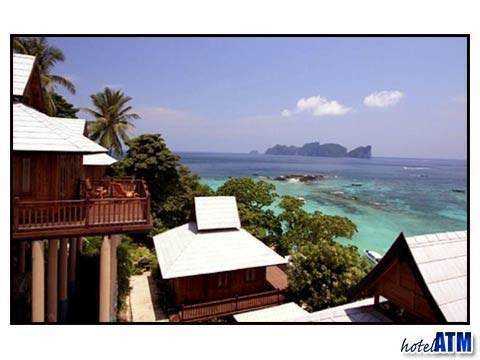 Right on the beach, on the eastern edge of the famous Long Beach of Phi Phi Don Island. There are less paths here than at Phi Phi Tonsai Village, no cars and no motor bikes. Public ferries depart both to and from Phuket twice daily in the morning and mid days. The boat journey takes approximately 90 minutes according to tidal conditions. It takes about 2.5- 3 hour hours to Phuket or Krabi International Airport depending on ferry, ferry departure times and road traffic.